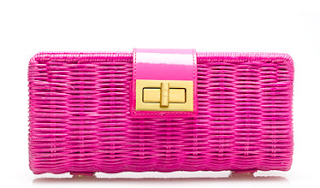 This woven wicker clutch is perfect for summer and also comes in blakc and brown... but if you don't buy hot pink you are crazy!! Buy at J. Crew for $88.